Learning to play the piano can be one of the best things you’ll ever do for yourself. Whatever your motivation may be, learning to play an instrument has never been easier. With online classes, in-person lessons, and self-guided learning, you have an array of options. No matter which option you choose, you will need a good method book to guide you on your way to becoming a virtuoso. Different books work better for different people, depending on their age, skill level, motivation, and schedule. I spent days researching keyboard and piano method books. 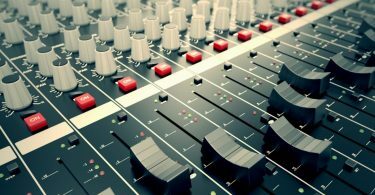 I scoured music blogs, piano teachers’ websites, online forums, youtube videos, and music stores to find out what experts and students had to say. Then I browsed through hundreds of product listings on Amazon to find the best method books for every age and skill level. 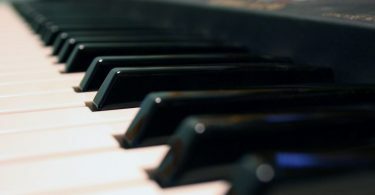 Offers a fast-paced and comprehensive piano education for adults, no prior experience necessary. Why Buy a Method Book? 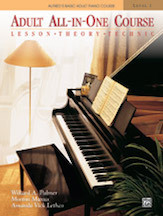 Piano method books help teach people of all skill levels how to play the piano. Whether you are teaching yourself or working with a teacher, you will most likely be using a method book. These books offer a lesson plan to focus your learning, so you can accomplish your goals. They also provide valuable tips and tricks to improve your skills. Every book is compiled differently, but most will include lessons on technique, music theory, piano fundamentals, and learning exercises. These books offer the opportunity for students to personalize their study and go at their own pace. Self-teaching using a method book can be less expensive and less time-consuming for students. For teachers, using a method book can help students stay on track and remember what they were just taught. These will help you decide what you need before you start your search. Who I am buying this book for? Different people have different needs. Is this person a child or an adult? A teacher or a student? 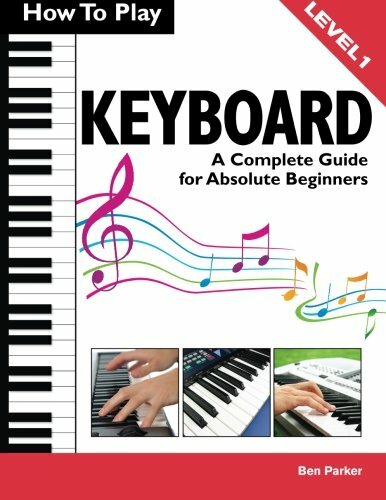 The right keyboard method book will be gear towards both age and skill level. Why do they want to learn piano? Knowing their intentions will help you discover what they want to learn and decide which method book is the best. Perhaps they only want to learn the bare basics, just enough to wow their family at their annual holiday party. Perhaps they dream of becoming the next Beethoven. Knowing the reason will help you know what they should focus on and how in depth they want to go, and then determine which book provides the best information for their personal study. Are they an absolute beginner? Do they just know the basics, like their scales and chords? Did they study another instrument and then decide to switch to the piano? Do they already know how to play and just want a refresher lesson? Knowing this is crucial to answering the next question. No two books have the same information. Once you figure out what they do know, it is important to determine what they want to learn. Maybe they already know about technique, but want to learn more about music theory. Maybe they want to learn how to sight read, compose and arrange their own pieces, or how to play a specific song or genre. Taking what they do know and what they want to know will help you to determine which book fits their needs. Pictures and bright colors aren’t just for kids. If they are more of a visual learner, you will want to find a book that has plenty of pictures and diagrams. If they learn better by doing, you will want a book that has plenty of exercises and practice pieces. Maybe they learn best by reading. In that case, you will want to find a book that incorporates more text. Maybe an eBook will work better for them than a physical book. Or maybe a book with larger type and notes. Someone with a short attention span might want to find a book that has shorter lessons. Maybe they want something they can write in and mark up. Or something with an accompanying CD or mp3 files. Having a method book that meets all of their learning needs can make the difference between enjoying the piano or hating it. Go in person to a store before you buy the book so that you can preview a few options before making your decision. Only you know which book meets all your needs and will be perfect for you. Try to find a book that has spiral binding instead of regular bookbinding. It will be easier to keep open to the right page on your piano. You may need to buy more than one method book to receive the most comprehensive piano education. Look at the strengths of each book and build your own ultimate piano course. 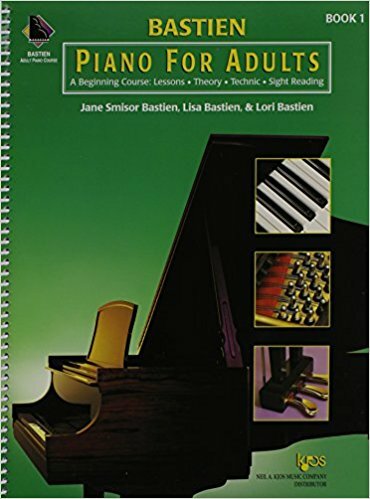 Alfred’s All-In-One Course lesson book is the best piano and keyboard method book for adult beginners. This book is highly recommended by students and teachers alike. Alfred’s offers students a well-rounded lesson plan with a mix of technique, theory, and lesson. The course begins very simply but progresses quickly. Students will start by learning the basics of scales, chords, and finger placement. It is comprehensible for those who know absolutely nothing about piano, but fast-paced and challenging enough to keep more advanced students interested. There are no gaps between lessons, making your piano education thorough and fluid. The course progresses in a very logical manner, which also contributes to its overall understandability. This book teaches all the basics, but it also includes hand and finger exercises, chord theory, and a variety of playing styles. The hand strengthening techniques are especially helpful and often overlooked exercise. At the end of each lesson, there are written assignments and tests to reinforce what was just learned. There are also practice songs of increasing difficulty in each lesson. 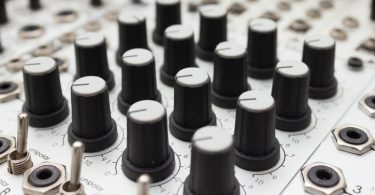 The books use a number of popular tunes in an array of different genres to help students apply the theory and technique they have learned. Some versions of the book include a CD of all the songs, so you can hear how the songs are meant to sound and play along with the disc if you so choose. You may also be wondering if the lessons in Alfred’s can be applied to any type of piano or keyboard. 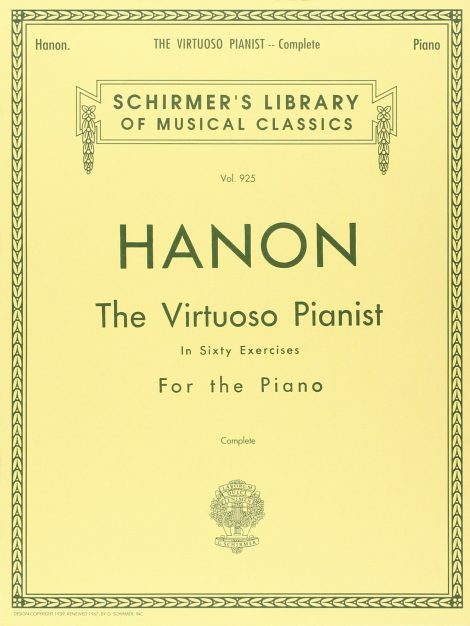 Don’t worry, you do not need a full-sized piano to be able to learn from this book. A keyboard works just as well, although, by the time you are finished, you may be tempted to buy a grand piano. The full Alfred’s course is comprised of three books. The first focuses mainly on technique and lesson. The others focus more on theory and solo playing. Students can tailor their education to their knowledge, by either playing straight through the books or begin where they are most comfortable. There is something in this book for every learner. In my research, it seemed like every person had a different feature they liked about the book. And some people knew nothing about music, others had studied different instruments, others still wanted a refresher course in piano. No matter what their skill level, everybody was able to learn and improve by using this method book. Alfred’s Adult All-In-One Course is the best method book for anyone who is self-motivated and serious about their craft. 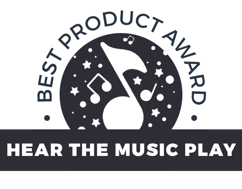 Bastien Piano for Adults was a close second choice for best piano and keyboard method book. 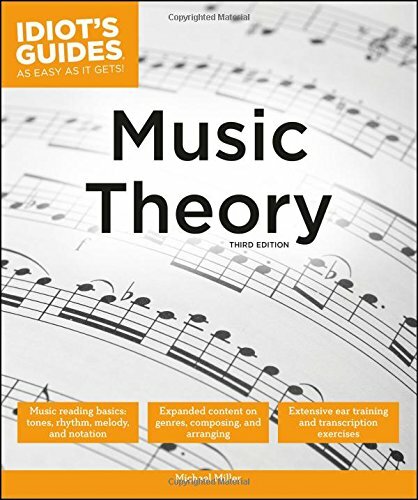 This book offers a challenging and fast-paced course that teaches students theory, technique, sight-reading, and much more. Every section begins with theory, then a basic piece to practice and solidify what was just taught. The pieces fall into a variety of music genres; there is a song for everybody. Each lesson builds and focuses on more difficult things, like technique and dynamics. This book reviews locating notes on a piano, chords, and basic musical terms, making it great for people who do not have any musical knowledge. Bastien was designed with true beginners in mind and makes learning easy and enjoyable. 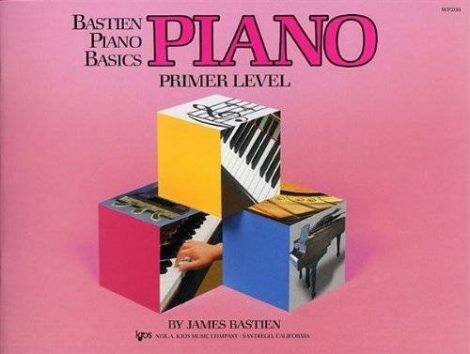 The Bastien Piano Basics book series is best for young children, designed to hold their attention. 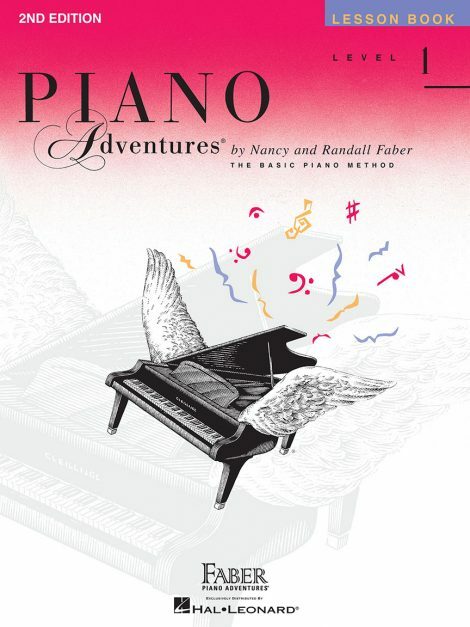 The Piano Adventures series is best for older kids, with catchy songs in a variety of genres. 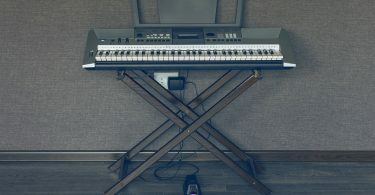 How To Play Keyboard is the best for those who want to learn keyboard specifically. 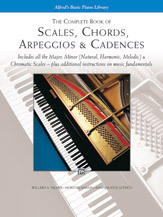 Alfred’s Scales, Chords, Arpeggios, and Cadences gives a more in-depth explanation of music fundamentals. 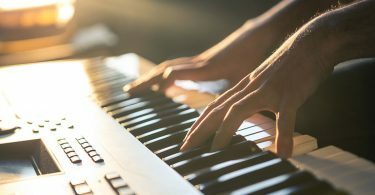 Virtuoso Pianist in 60 Exercises is the best for students looking to build a strong foundation in technique. The Complete Idiot’s Guide to Music Theory is not specific to the piano, but it came up a lot in my research. This is the best book for learning music theory. Is ‘Alfred’s Basic Piano Library Lesson Book’ of the same series as the Alfred’s mentioned above? Thats the one my daughters instructor is asking us to use along with lessons. If it is, why are some of the others listed for beginners preferred over the Alfred’s one we’ve been asked to get? Hi! I like the Alfred method very much for adults but for my boys it did not work that well. I found a good alternative in the Mango piano method . It’s written in the same style to the Alfred one but designed for children. You should try it. 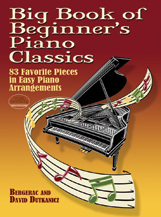 I’ve started learning piano with Big Book of Beginner’s Piano Classics book. I found this a very helpful for beginners. this book will not only guide you but also will challenge you to improve your skills and take it to the next level. Hope it may help others.